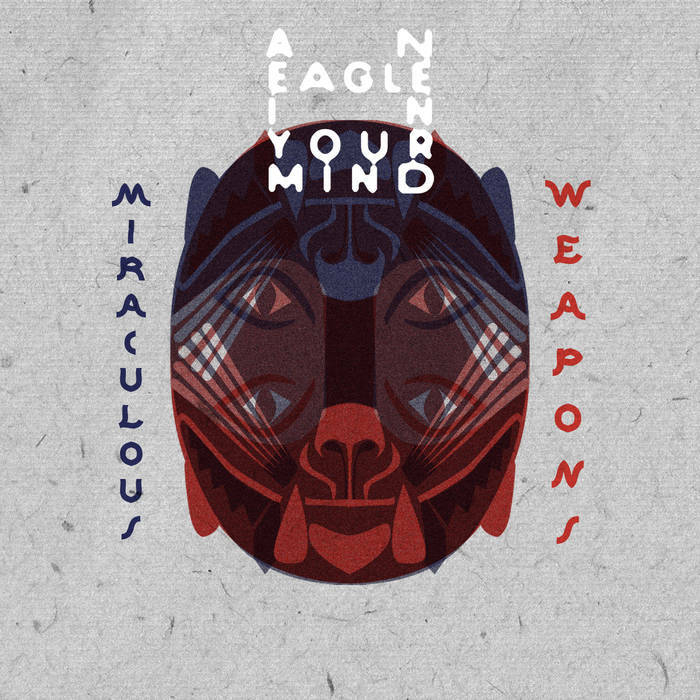 AN EAGLE IN YOUR MIND - "Miraculous Weapons"
On Miraculous Weapons, driving rhythms accompany folksy guitars and reverb-heavy vocals in this latest release from Lyon, France based freak-folk duo, An Eagle in Your Mind. This is their third release in as many years, and features the band's signature blend of modern and traditional sensebilities. In compositions that would play just as well in a modern metropolitan basement club as a solar-powered gig in the forest, AEM reaches across genre boundaries, collecting a handful of styles, and then weaving them together effortlessly to create dreamy, psychodelic vistas. At first, this music seems earthy and organic, steeped in the world travels of these nomadic artists. Jangly, bluesy guitars and natural sounding drones provide a rich, multicultural backbone to each song. A peek beneath the surface of this sleek recording reveals all of the polish one would expect from a larger studio release, and, though this music has a strong traditional vibe, there are no rough edges here. From the catchy lyrics of Rainy Day, "This is the rain/ I love the rain," to the twangy Cave of the Darling, to the haunting nighttime-in-the-forest feel of I Breathe, An Eagle in Your Mind is able to entrance the listener with each trippy folk jam, light enough to soothe, but structured for repeat listens. Miraculous Weapons is now available on compact disc, cassette, and digital at the link below. Newer PostDRACULA FACTS - "Undead"
Older PostSUPER HI-FI - "Blue and White"